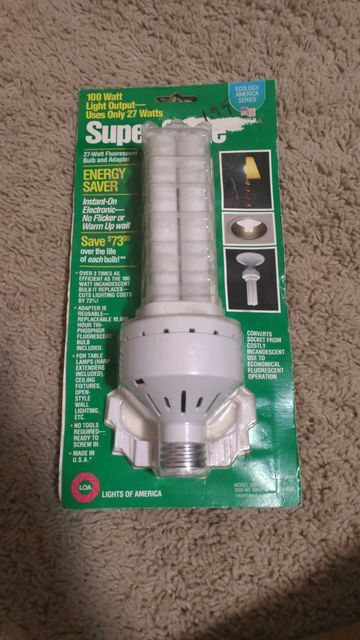 Application/Use: Energy saving alternative to an 100 watt incandescent light bulb. I had one like this in the late 1980s. The color seemed a bit "warmer" than a typical 2700K CFL, more like 2400K. Yes it does seem warmer. What a brilliant find!! Wish I had something like that!!! I even saw the circle version too! Unfortunately, I couldn't get it due to money reasons.